Iain Gray MSP has visited the Ridge in Dunbar for an update on the pioneering social enterprise’s latest activity and future ambitions. The Ridge runs various local projects in Dunbar including the Ridge Café in the Bleachingfield Centre, provides training and support and helps create jobs and training opportunities. Representatives from the Ridge also informed Mr Gray about being shortlisted for this year’s FutureTown Design competition. The competition aims to stimulate conversations, provoke ideas and encourage new approaches about what our towns could look like now and in the future. “I remember meeting some of the founding members of the Ridge a few years ago when they were at the very early stages of their work. 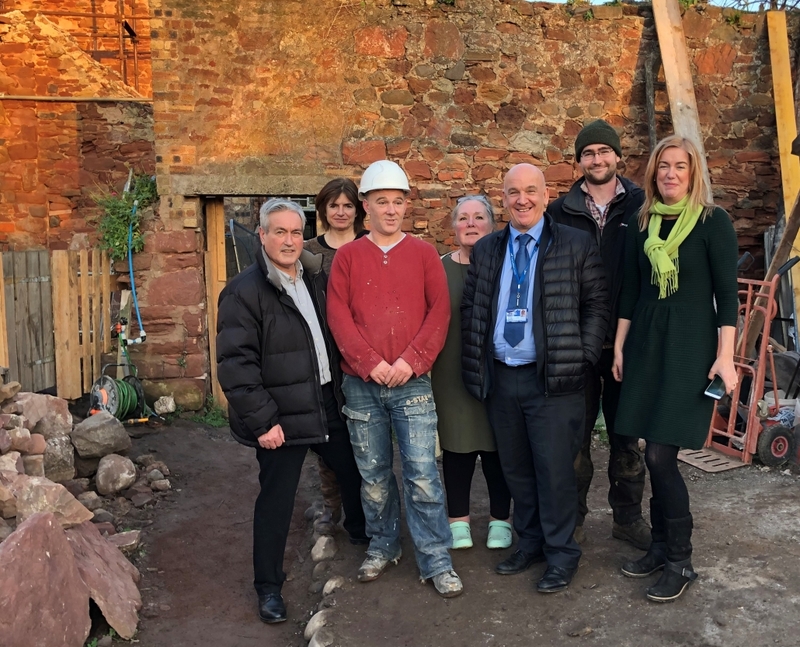 Since then they have taken huge strides forward and are involved in delivering some amazing projects in Dunbar to enhance the community and help local residents in a variety of important ways. 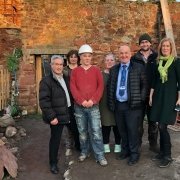 “Their work on the Backlands Garden is particularly impressive, transforming a neglected part of the town centre into a place that can be used by the community and help local people develop their skills. “Unfortunately, the Ridge, working with East Lothian Council, was not successful in a funding application to extend this restoration work to other parts of the high street. I have pursued the matter with the Scottish Government. “It was a delight to welcome Iain and Norman to the garden again and update them on the latest developments. Iain’s proactive interest in and support of the Ridge’s work is very much appreciated. Published by Iain Gray MSP, 65 High Street, Tranent, EH33 1LN. The Parliament is not responsible for the content of other internet sites.